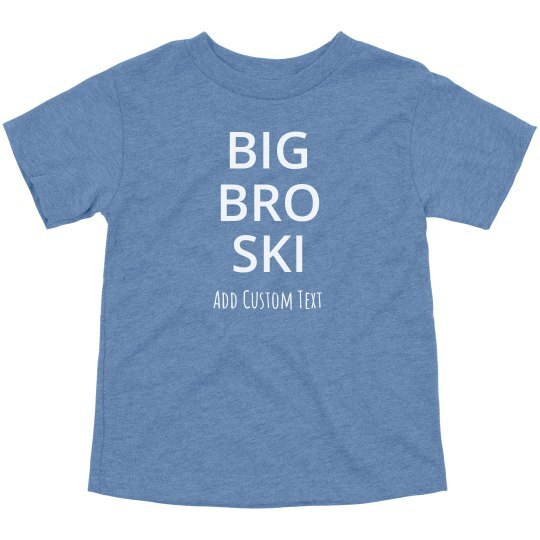 Outfit your child in this "Big Bro Ski" design to celebrate the incoming baby. Add your own custom text at the bottom with a name, date, or funny quote. This design is perfect for family photos and announcements.